Just as the polls opened on November 5, 1872, Susan B. Anthony arrived and filled out her "ticket" for the various candidates. But before it could be placed in the ballot box, a poll watcher objected, claiming her action violated the laws of New York and the state constitution. Anthony vehemently protested that as a citizen of the United States and the state of New York she was entitled to vote under the Fourteenth Amendment. The poll watchers gave in and allowed Anthony to deposit her ballots. Anthony was arrested, charged with a federal crime, and tried in court. Primarily represented within document collections and broader accounts of the fight for woman suffrage, Anthony's controversial trial—as a landmark narrative in the annals of American law—remains a relatively neglected subject. N. E. H. Hull provides the first book-length engagement with the legal dimensions of that narrative and in the process illuminates the laws, politics, and personalities at the heart of the trial and its outcome. Hull summarizes the woman suffrage movement in the post-Civil War era, reveals its betrayal by former allies in the abolitionist movement, and describes its fall into disarray. She then chronicles Anthony's vote, arrest, and preliminary hearings, as well as the legal and public relations maneuvering in the run-up to the trial. She captures the drama created by Anthony, her attorneys, the politically ambitious prosecutor, and presiding judge—and Supreme Court justice—Ward Hunt, who argued emphatically against Anthony's interpretation of the Reconstruction Amendments as the source of her voting rights. 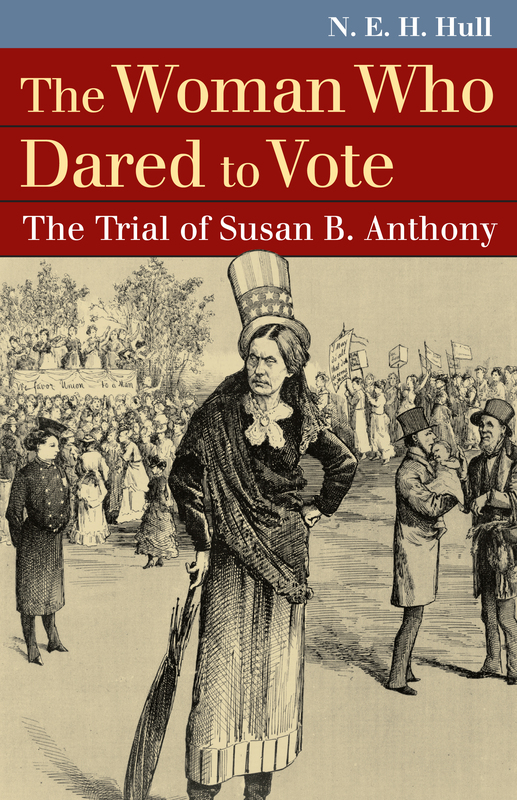 She then tracks further relevant developments in the trial's aftermath—including Minor v. Happersett, another key case for the voting rights of women—and follows the major players through the eventual passage of the Nineteenth (or "Susan B. Anthony") Amendment. Hull's concise and readable guide reveals a story of courage and despair, of sisterhood and rivalry, of high purpose and low politics. It also underscores for all of us how Anthony's act of civil disobedience remains essential to our understanding of both constitutional and women's history—and why it all matters. N. E. H. Hull is Distinguished Professor of Law and a member of the graduate faculty in history at Rutgers University-Camden. She is the author of Roscoe Pound and Karl Llewellyn: Searching for an American Jurisprudence and Female Felons: Women and Serious Crime in Colonial Massachusetts, and coauthor of The Supreme Court: An Essential History; Impeachment in America, 1635-1805; Murdering Mothers: Infanticide in England and New England, 1558-1803; and Roe v. Wade: The Abortion Rights Controversy in American History, now in its second edition.